Steel Guitariste Country US né le 18 Août 1928 à Clay Center (Kansas). Bobby Koefer a accompagné Bob Wills & His Texas Playboys, Billy Gray et Pee Wee King. Il été intronisé au Steel Guitar Hall Of Fame en 2004. US Rockabilly singer born August 18, 1928 in Clay Center (Kansas). 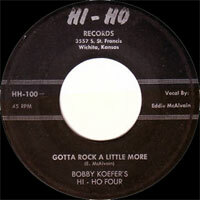 Bobby Koefer accompanied Bob Wills & His Texas Playboys, Billy Gray and Pee Wee King. 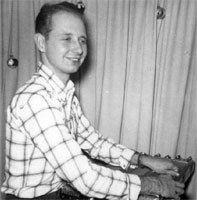 He was inducted into the Steel Guitar Hall Of Fame in 2004.